Fresh off his latest EP and two new remixes, Jeff Montalvo (Seven Lions) has been unleashing storms of new music the past months. His widely diverse ‘Creation’ EP dabbles in everything from progressive house to the hit song ‘Creation’ that reminds us of Jeff’s dubstep roots as an artist. The eerie space like track, “Leaving Earth” shows us another side of Jeff’s diverse and talented production skills. Along with the EP, he has unleashed two new trance remixes that prove he knows no boundaries when it comes to genres. His latest releases show us that he can produce just about anything and make it work flawlessly. He’s fresh off his explosive performance at EDC NY, drawing massive crowds even when up against Eric Prydz. Seven Lions is an artist you won’t want to miss, you can catch him at Sunset Music Festival, Digital Dreams, Fvded In The Park, Summer of Sound, Chasing Summer Music Festival, Lollapalooza, Vertex Festival, Life is Beautiful, and Dancefestopia. Derek Anderson and Scott Land met as fraternity brothers at the University of California Irvine. Originally just DJing for their fraternity brothers, it soon turned into their passion and Slander was born. Since then, the duo have been creating and redefining heaven trap with their explosive remixes and fire originals. Selling out nearly every show they play, Slander has been rapidly rising through the scene and 2016 is shaping to be their biggest year yet. Recently releasing their heaven trap anthem with Adam K, Haliene, and Matthew Steeper, “Breathe” captivates all elements of Slander’s diverse production skills. During their live performances, you’ll often catch Derek doing his classic trap arms on the decks as the bass rings out around the venue. When they’re not destroying clubs with their beats, they can be found out West hitting the ski slopes with their buddy, NGHTMRE. Slander & NGHTMRE have big plans for 2016, but you can catch Slander at Audio on the Bay, Electric Forest, BeachGlow Music Festival, Camp Bisco, Open Beats Festival, and Mad Decent Block Party. It doesn’t matter who the man behind the mask is, all that matters is the music he produces. Recently releasing his first music video featuring an array of artists, Marshmello has been taking 2016 by storm. Not only have his impressive remixes catapulted him to the top, he has shown us his capability for producing his own originals. With banging tracks like “Find Me” and “Keep it Mello”, we’re not surprised Marshmello is getting booked all over the country. He recently destroyed his performance at EDC NY drawing a crowd equal to the size of the headliner’s. Go take a listen to his latest releases and then ask yourself, am I ready to join the mellogang? You can join Marshmello and his mellogang members at clubs all over Vegas and Florida. He will also be performing at Billboard 100 Music Festival and Red Rocks. From producing heaven trap anthems with Slander to releasing his first ever EP, Tyler Marenyi (NGHTMRE) has come a long way. This North Carolina native has shown he can produce all different aspects of trap with ease. His moombahton collaboration with Dillon Francis was recently debuted and received an equally interesting music video to accompany it. Last month we also caught a glimpse of his unreleased track with Pegboard Nerds & Krewella at Avalon Hollywood. Time will only tell who NGHTMRE will collaborate with next, however we’re anxiously waiting in anticipation. You can expect him to unload a bevy of unreleased tracks at his performances this summer. Luckily for us, NGHTMRE is booked at just about every festival imaginable this summer. You’ll be able to catch one of NGHTMRE’s performances at Shaky Beats Festival, SummerCamp Music Festival, Sunset Music Festival, Electric Forest, Paradiso Festival, Red Rocks, iLe Soniq Festival, Moonrise, Summerset Music Festival, Electric Zoo, and Dancefestopia. Unlike Seven Lions, Illenium is a newer name on the scene. He first started producing music after seeing Bassnectar at Red Rocks in 2012. His melodic bass can have you head banging one moment and tearing up the next. His production skills cater to that Seven Lions power with some heavy hitting percussions throw in. The young producer has even taken some pointers from Seven Lions, quoting him in an interview with EDM Assassain. He’s shown us his talent on his remix of Kaskade’s “Disarm You” and on The Chainsmoker’s “Don’t Let Me Down”. This San Francisco native is certainly an artist to keep your eyes on. 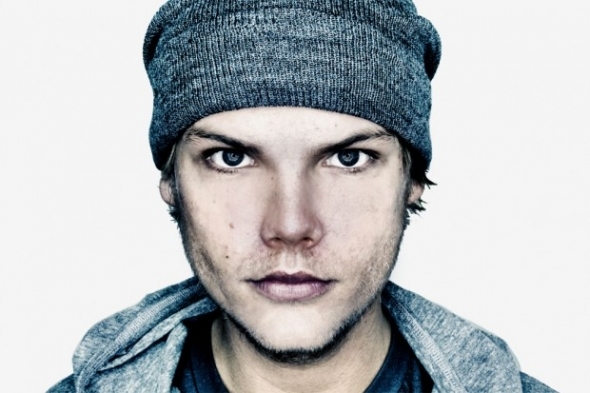 He’ll be performing at Untz Festival, Mysteryland, Electric Zoo, and Red Rocks Amphitheatre.